If you run a family farm, one of the ways you can connect with your community is to offer farm visits throughout the year. If you run a family farm, one of the ways you can connect with your community is to offer farm visits throughout the year. So how would this work? Visiting a farm is not only a fun outdoor activity, but it’s educational and gets everyone thinking about eating fresh, locally-grown produce. 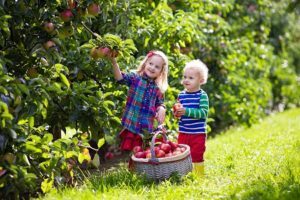 But, before any trips can happen, consider these factors to ensure that your visitors adhere to the etiquette for visiting a family farm. Local farms aren’t always open to the public. Be sure to have your visitors call ahead to ensure that your farm is open to accepting visitors that day. It’s a step that will ultimately be more convenient for you and your family since you will be able to prepare better for visitors. You can both coordinate a time slot that works best for your visitors and the other workers on the farm. Emphasize that you live and work on the same property and that any visitors should think of this as visiting a neighbor’s house. Once you know when to expect your guests, make sure that you and your family prepare for the tour. As we noted above, farms are worksites, so be prepared to protect yourself and your visitors from any potential accidents. Account for weather forecasts. If rain is expected, be sure to have your guests bring rain boots and coats in case the soil turns muddy from the rain. Also, for hot and sunny days, have them bring plenty of water so that everyone in their party remains hydrated and comfortable – this advice is important on cold days as well! Lastly, ensure that they wear closed-toe, supportive shoes that will help them navigate the uneven terrain. When you pick products from the grounds, be sure to stick to areas where you’ve been given permission. Be careful not to step on young and new crops by sticking to the designated walking paths. Remember that although this is a learning opportunity for your family and a fun day out, this is a business for the owners and a part of their livelihood. This entry was posted on Friday, January 12th, 2018 at 2:01 pm. Both comments and pings are currently closed.